I am an astronaut hopeful – one of thousands of people who somehow never outgrew our childhood dream of going to space. Anyone can hope to be an astronaut, but to be an “astronaut hopeful” one must make a commitment to the goal and proactively work towards becoming an astronaut. The road is long and the outcome is uncertain, but it is in trying to achieve this lofty ambition that we learn to become our best selves. Astronauts train to be some of the most focused, resourceful, healthy and dependable people on the planet. Striving to be more like them can help any person to be more effective in life’s pursuits. Making the decision to do everything one can to actually become an astronaut means learning from astronaut role models and making incremental decisions throughout your life that get you closer to your dream. This week NASA began accepting applications to recruit another class of astronaut candidates (ASCAN’s). More than 6,300 people applied during the last opportunity, from which they chose eight new recruits. 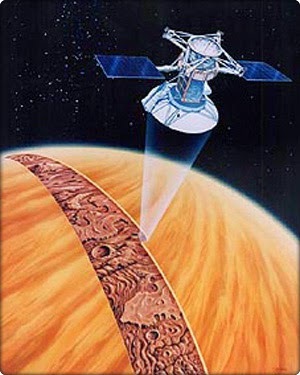 A 0.1% chance of selection makes the NASA ASCAN program more selective than almost any college or career. At least the odds are better than winning the lottery. You can improve your prospects through hard work and a bit of luck, but the only way to ensure you’re not chosen is by not applying at all. For the fortunate ones who are chosen, though, it’s the realization of a lifelong dream. Here are the eight top things that I learned over the years by interacting with astronauts and astronaut hopefuls. 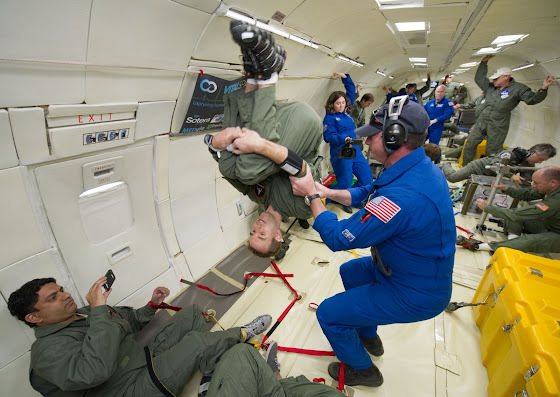 NASA opened the 2015-16 astronaut selection opportunity on USAJOBS. Applications are due February 18, and details are on astronauts.nasa.gov. Good luck to all who apply! 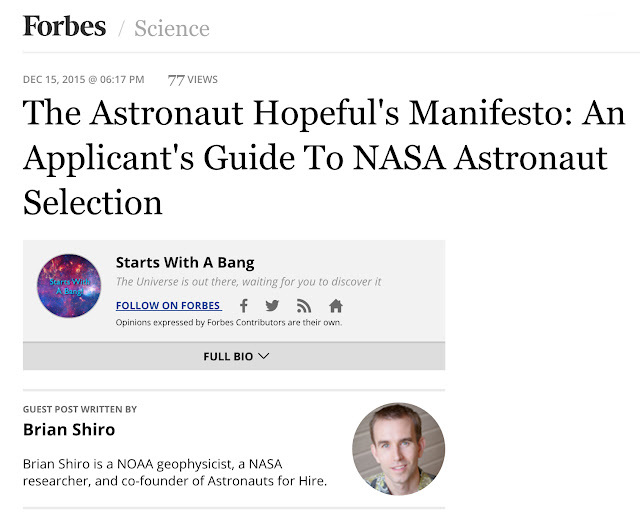 I wrote an article called "The Astronaut Hopeful's Manifesto: An Applicant's Guide" on Forbes with some advice to applicants. Check it out! I can't promise that all of these will see the light of day, but I'll do my best to post the most interesting ones. 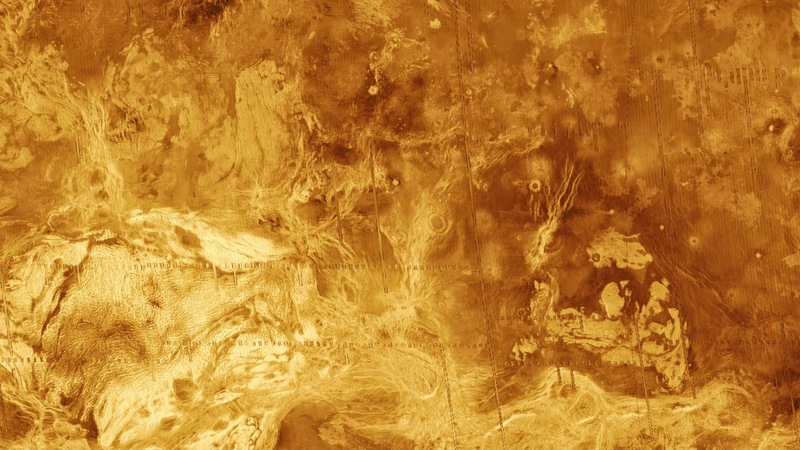 You may also be wondering what happened to this blog’s former Mars-like design. The theme that I was using had some issues that weren’t easy to solve quickly, so it was simplest for me to just replace it with a more standard theme. I know it’s not very spacey or unique, but it will have to do for now. 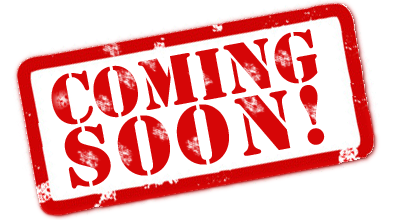 I have plans to eventually migrate this entire site from Blogger to Wordpress and incorporate a new design, but that’s way down on my priority list at the moment. The Papahānaumokuākea Marine National Monument encompasses a vast area larger than all U.S. national parks combined. As I mentioned last time, We came here on the R/V Falkor to map the seafloor around the islands, atolls, reefs, and seamounts that comprise the Northwestern Hawaiian Island chain within the monument. Ultimately, we want to gain a better understanding of the geological processes that helped shape this part of the world. 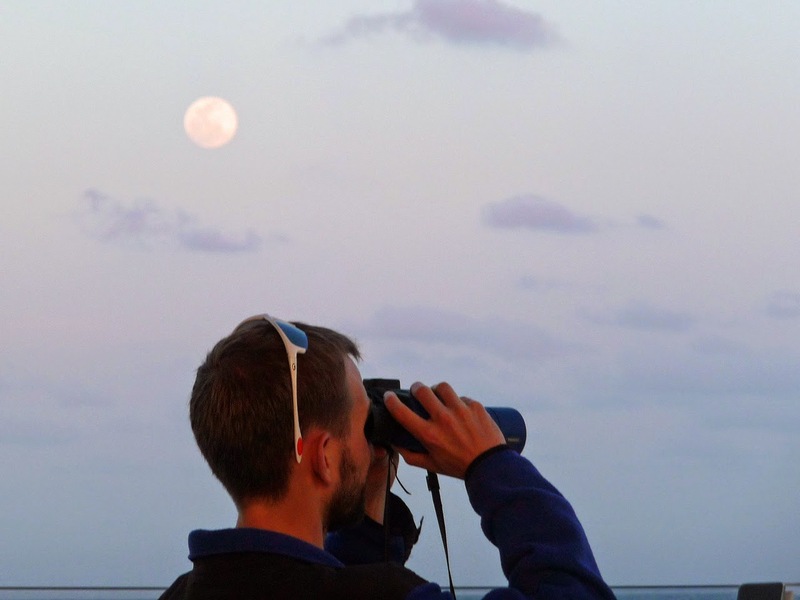 As the ship cruises along at around 10 knots, we operate three different data collection systems. First, we have a multibeam sonar that pings the seafloor with sound to give us a picture of what the ocean bottom looks like. Then, we have a gravimeter, which detects minute gravity variations that tell us what is beneath the seafloor surface. Finally, our magnetometer measures the Earth’s magnetic field along our path and provides information on the relative ages of seafloor features. 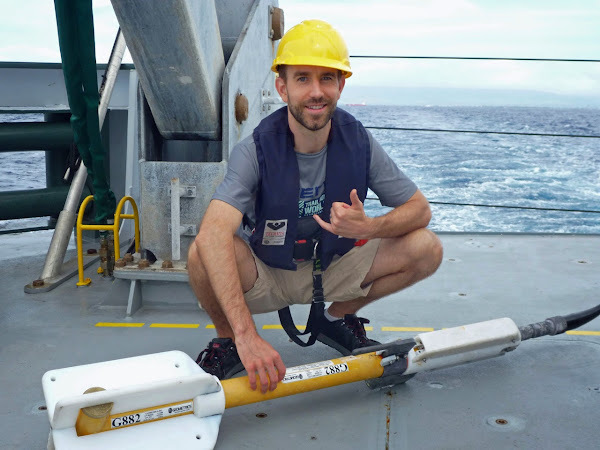 On this cruise, we are using a Geometrics G-882 magnetometer provided by the University of Hawai‘i. It's towed about 170 meters behind the ship in order to avoid magnetic interference from the metal vessel itself. The torpedo-shaped instrument glides along about 10 meters beneath the surface, logging the magnetic field intensity every tenth of a second. We can then subtract the Earth’s background magnetic field to create a map of local variations, which we call a magnetic anomaly map. This gives us an idea of the relative ages of different portions of the seafloor. When oceanic crust forms in the fiery furnace of a mid-ocean ridge, its rocks contain tiny iron atoms that align themselves with the local magnetic field. As the rock cools to a solid, these atoms freeze in place, preserving a record of the direction and intensity of the magnetic field at that time. That field tends to fade over time, so the intensity of the signals we measure is one indicator of age. As it happens, the Earth’s outer core is a dynamic place, and this causes the north and south magnetic poles to trade places every few hundred thousand years. When Navy ships combed the oceans with magnetometers in the 1950s looking for ways to detect submarines, they unexpectedly discovered alternating bands of magnetizations in the seafloor, which was one of the strongest pieces of evidence that gave birth to the theory of plate tectonics. Now that we know the plates move, we think we have a good idea how the Hawaiian Island chain formed and the lifecycle of a Hawaiian island. A hotspot in the mantle beneath the central Pacific plate causes rocks to melt and rise up to form volcanoes, which eventually break the surface to form islands. These volcanoes eventually die as the plate moves past the hotspot. Over time, the island sinks into the sea, transforming into an atoll and eventually a subsurface mountain called a seamount. 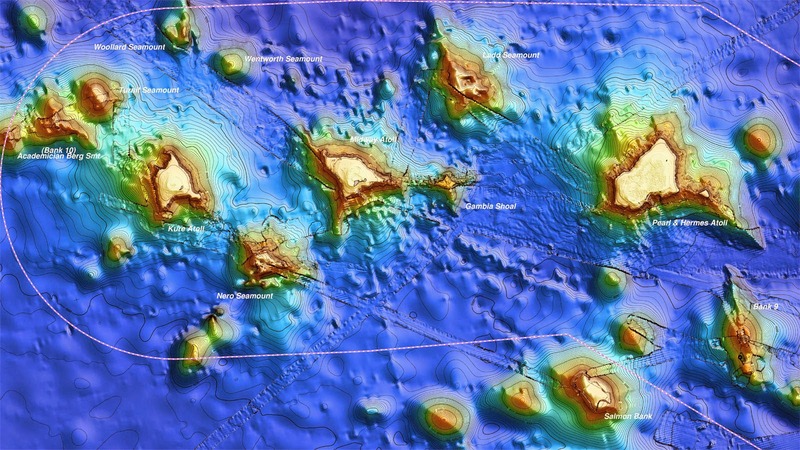 These Hawaiian seamounts coexist with other older seamounts that pepper the bottom of the ocean. How can we tell them apart? Remember that when volcanic rocks solidify, they lock in the magnetic field of the time and place where they form. 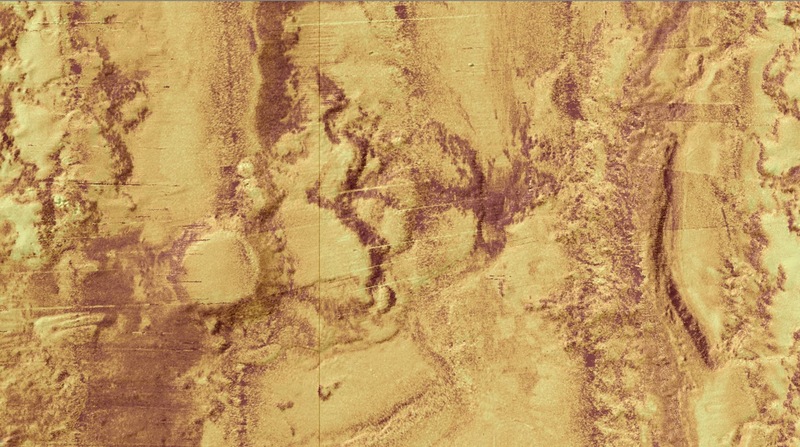 That means that we can tell at what latitude rocks formed based on their magnetic signature. Plus, the minerals within the rock alter over time, and the little iron atoms lose their alignment. The intensity of magnetization within the rock decreases as a result. Thus, we would expect to see lower magnetic anomalies with our magnetometer when we pass over older non-Hawaiian seamounts compared with the younger Hawaiian ones. The seafloor in this area is Cretaceous in age about 80-100 million years old, so we’re trying to use magnetic data to discriminate between Cretaceous vs. Hawaiian seamounts, which are only about 5-45 million years old. As a geophysicist with mostly a seismology background, I am excited by this hands-on opportunity to learn about marine magnetics. I hope to fold this into my dissertation involving other geophysical exploration methods on the Earth and planets. Mahalo nui loa to everyone on the R/V Falkor team for a superb cruise so far! Note: A version of this post was originally published on the Schmidt Ocean Institute website.